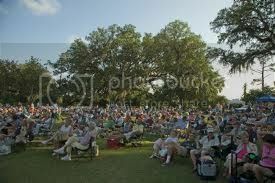 The Airlie Gardens Summer Concert Series in Wilmington, NC, presents Boba Funk. Concerts are performed in front of the famous Airlie Oak the first and third Friday of every month, May through September. HOURS: 6-8pm. Please note: Free trolley service is available from 5335 Oleander Drive (next to Tidal Creek Co-Op).